In November 2015, Sigma Nutrition founder Danny Lennon published this outstanding article. The motivation for this piece stemmed from a ridiculous opinion piece written by Irish rugby journalist Neil Francis, essentially implicating creatine as a potential player in the tragic and premature death of All Blacks legend Jonah Lomu. Danny’s rebuttal was spot on and made me incredibly proud to be associated with him. In addition, the number of shares the article received at the time put a beaming smile on my face and gave me a glimmer of hope as to the level of intelligence of the human race. So the whole creatine misunderstanding had been put to bed right? Not quite. Perhaps, sadly, it never will. Some people will always believe what they want to believe, even in the face of overwhelming evidence refuting their claim. But for the fortunate few out there that want to base their views on evidence and rationality, rather than sensationalist nonsense, hopefully this article should prove useful. During my time coaching I’ve been asked on numerous occasions various questions about creatine use and heard various inaccurate statements regarding its safety. Therefore this article will address each of these one by one. Creatine is a naturally occuring compound that can be both consumed via the diet or made endogenously by the body. Creatine is made in the liver and pancreas from the amino acids arginine, glycine and methionine (Allen 2012). It’s also available to us via the consumption of protein-based foods such as milk, meat, fish and nuts. However, the creatine content of even creatine-containing foods isn’t that large. At least not large enough to maximize creatine stores in most people. Hence making supplementation a far more efficient and practical way of maximizing creatine stores. For example, taking a 5g scoop of creatine monohydrate powder would be equivalent to eating 1.1 kg (~ 2.5 lbs, uncooked weight) of steak (Harris et al., 1992). The vast majority (~95%) of creatine in the body is stored in skeletal muscle, with the remainder found in the brain and testes (Buford et al., 2007). The total creatine pool within skeletal muscle averages approximately 120 grams for a 70 kg person, with the potential for this to increase to about 160 grams following supplementation. Obviously these averages scale up/down for larger/smaller individuals, especially with respect to their skeletal muscle mass. 2. How Does Creatine Actually Work? OK, so if we are talking about improving performance then we first need to remember the importance of ATP (adenosine tri-phosphate) production in high-intensity exercise. For simplicity we can think of ATP being a molecule signifying potential energy. When energy is needed by a muscle cell for example, ATP can be broken down into two constituent parts: ADP (adenosine di-phosphate) and a phosphate molecule (P). When this reaction happens, energy is released for muscle contraction. However, during high-intensity exercise ATP is rapidly depleted due to the high demand for energy. Depletion of ATP in this manner quickly leads to fatigue (within a matter of seconds). But fortunately some of this ATP can be re-synthesized with a little help from a pool of creatine that we store in our muscle. Both free creatine and phosophocreatine (PCr) are found in the body. Phosophocreatine (or creatine phosphate) is as the name implies; a creatine molecule attached to a phosphate molecule. And so if we now have ADP around (due to the breakdown of ATP), we can regenerate ATP by adding a phosphate molecule to ADP (the names adenosine DI-phosphate and adenosine TRI-phosphate should be making sense about now). Where do we get this phosphate molecule (P) from? By breaking down (technically hydrolyzing) phosophocreatine. So by having more stores of creatine in the muscle, we have a greater ability to regenerate ATP. This is the premise for supplemental creatine; a higher rate of ATP resynthesis, a delay in the onset of muscular fatigue and enhanced recovery during repeated bouts of high-intensity exercise (Mujika & Padilla, 1997). So what about actual measured performance benefits? When it comes to increasing high-intensity exercise capacity , there is no other supplement that has been as consistently shown to increase performance than creatine monohydrate. Creatine supplementation also seems effective in increasing strength when combined with resistance training vs. resistance training alone (Rawson & Volek, 2003). The general consensus within the scientific literature is that creatine is generally an effective nutritional supplement for a variety of sporting tasks, as well as clinical applications (Kreider, 2003). Although not all studies have found an ergogenic effect of creatine supplementation. Probably something in the region of ~70% of short term studies on creatine supplementation has been shown it to be effective (the other 30% of studies generally report gains in performance but are not statistically significant). But crucially, there have been no negative performance effects reported to date. So taking creatine will either boost your performance at best or have no effect at worst, but it will not lead to a decrease in performance (Kreider, 2003). Additionally the degree of benefit gained by supplementation is highly individual. It’s possible that genetic response plays a role here but a lot might be explained by initial creatine stores in the muscle. Much of the ability of creatine to improve performance is dependent upon total muscle creatine content prior to beginning supplementation. Essentially, the lower your creatine stores pre-supplementation the more likely you are to see an improvement in your performance as you are significantly increasing your muscles creatine storage pool. If these stores are already close to full then additional supplementation is unlikely to have any effect. Hence why it’s completely unnecessary to take more than the typical 3-5 g/d. The is certainly a case where more is not better. Taken from Harris et al. (1992), Total creatine (TCr) content of the quadriceps before and after supplementation with creatine. Notice how those subjects with the lowest starting TCr content tended to have the greatest increases following supplementation. 3. How Much Should I Take? Do I Need to Load Creatine? It is not necessary to implement a ‘loading period’ (typically a high dose for 5-7 days, followed by a lower maintenance dose). However, doing so can increase your muscle creatine stores more rapidly. Supplementation with 20 g/d for 5-7 days can increase phosphocreatine stores by somewhere in the range of 10-40% (Kreider, 2003). In terms of effective dosages, it appears 0.3 grams per kg body mass per day is sufficient if planning to “load” creatine (equal to 24 grams per day for an 80 kg person). After that a maintenance dose of 0.03 grams per kg body mass per day (equivalent to 2.4 grams per day for that same 80 kg person) appears to be effective (Dalbo et al., 2008). Based on these numbers from the Dalbo paper, suggested intakes (in grams per day) for a loading phase followed by a maintenance phase are summarised in the below table. 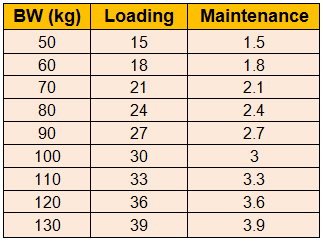 Suggested intakes in grams per day for loading and maintenance phases. Based on data in Dalbo et al., 2008 paper. But as mentioned, this loading strategy is unnecessary. Most research seems to show a dose of ~ 5g/d is the maximum needed to elicit benefits over time (amount likely scales with body size, or more accurately lean body mass). Note that this needs to be taken continuously over a number of weeks to gain benefit. Creatine does not act like a stimulant such as caffeine where the impact of performance is acute and nearly immediate. Rather, creatine has it’s benefit when it accumulates and muscle stores become saturated. So to keep it simple, take a 5 g scoop each day and you’re good to go. 4. So is Taking Creatine Like Taking Steroids? No. As previously noted creatine is a substance synthesized from the amino acids arginine, glycine and methionine. However in the past the media and anecdotal reports have advertised creatine as “the legal steroid”. This stems from a combination of misinformation and people wanting to create a stir. Unfortunately this persists in the face of overwhelming levels of evidence to the contrary. You may hear anecdotal reports of having to stop taking creatine “because it was making me very aggressive” or similar statements. For the vast, vast majority of the population, creatine does not have any reported effects on aggressiveness or mood. “Creatine rage” just isn’t a thing. However, there are a few instances where creatine supplementation has been reported to negatively impact mood and anxiety. Specifically, in one clinical trial it was reported that two patients diagnosed with bipolar disorder “exhibited hypomania or mania” following daily supplementation with 3–5 g creatine (Roitman et al., 2007) . In addition, one clinical trial examining creatine and resistance training, reported that two of the subjects claimed to feel more aggressive and nervous after 7 days of taking 25 g/d of creatine (Volek et al., 2000). So with this in mind, there of course remains the possibility that creatine can increase risk of mania or depression in susceptible individuals. So it may be worth considering in at risk individuals. However, for anyone that has not been diagnosed with a clinical mental disorder then there is no evidence to suggest it will increase aggressiveness, anxiety or affect mood. Short answer is “yes”. And the more nuanced answer is “yes, but with a few caveats”. Early studies using reasonably high doses of creatine (~20 grams per day) showed no ill effects (Harris et al., 1992). In addition, the scientific consensus is that there is sufficient evidence to confidently say that intakes of 5 grams per day (a typical “maintenance dose” for most people) are safe (Shao et al. 2006). In humans as well as animals, creatine supplementation is generally considered safe and well-tolerated (Rodriguez et al., 2009). In healthy individuals no medically significant side effects have been reported in literature with either short- or long term use of creatine monohydrate (Jager et al., 2011). In terms of kidney health, again no evidence supports the idea that intakes of up to 25 grams per day pose any threat to renal function, provided there are no pre-existing kidney issues (Buford et al. 2007). Additionally, Poortmans et al. 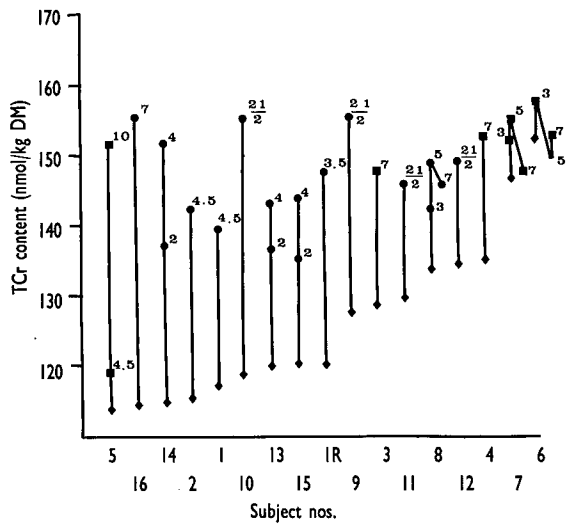 (1997) have shown no ill effects of short- (5 days), medium- (14 days), or long-term (10 months to 5 years) creatine supplementation on renal function in healthy adult subjects. A review paper by Allen (2012) concluded that it is extremely unlikely that healthy adults could develop kidney problems from creatine supplementation in the absence of exacerbating factors such as steroid usage, nephrotoxic or renally-cleared medications, or diuretics. Perhaps where some of the misunderstanding arises leading to people to associate creatine use with negative effects on the kidneys is due to the fact that creatine supplementation increases levels of creatinine, which is a common marker used to assess renal function. But an elevation in creatinine due to taking creatine doesn’t mean there is any harm to the kidneys. This could be falsely interpreted as an indication of renal dysfunction and subsequently a cause of major confusion. So if you’re getting routine blood work with your doctor, make sure to let them know you consume creatine if your creatinine comes back high. In contrast, there does appear to be some evidence to support the notion that creatine may increase gastrointestinal (GI) distress. Some authors have reported mild GI issues including diarrhoea, nausea, vomiting and abdominal discomfort (Astorino et al., 2005; Groeneveld et al., 2003). The athlete does not exceed recommended dosages. If these conditions are met, then it would seem reasonable that high school athletes should be able to take a creatine supplement. There are a number of studies investigating the safety of long-term creatine supplementation. No major health issues were reported in a study of 9 healthy athletes administered 1–20 g/day from 1–4 times/day for up to 5 years (Poortsman & Francaux, 1999). In recent years a number of researchers have begun to release results of the safety of long-term creatine supplementation. So far, no long-term side effects have been observed in athletes (up to 5 years supplemented), infants with creatine synthesis deficiency (up to 3 years supplemented), or in clinical patient populations (up to 5 years supplemented) (Buford et al. 2007). 6. Does Creatine Cause Dehydration? Should I Drink More Water? “A fallacy exists, which has likely been driven by the media and anecdotal reports, that creatine causes muscle cramps and dehydration” (Dalbo et al., 2008). In fact, creatine may serve to protect against dehydration in athletes by drawing more water into cells (Greenwood et al. 2003; Dalbo et al., 2008). Powers et al. (2003) showed increases in total muscle creatine stores following supplementation led to increased water retention, particularly within the muscle itself. 7. Will Creatine Cause Me To Gain Weight? How Much? The first week of creatine supplementation at a dose of 20 g/d (or 0.3 grams per kg body mass per day) for 5 days tends to result in a 1–3 kg increase in body mass attributable to an increase in total body water (Dalbo et al., 2008). This is not to be confused with an increase in muscle mass. Creatine isn’t some wonder compound that magically grows muscle. Creatine can aid in building muscle mass, however that is not down to it being something that promotes muscle growth in the same way that say anabolic steroids do. But rather creatine supplementation simply helps to improve training performance, potentially increasing the amount of quality volume that a trainee can do, and hence indirectly helping to build muscle. However, as I’ll address in the next point, this difference in muscle mass gain (vs. just training alone) is not something you could notice in real life. Unless you’ve got access to a control group and DEXA scans, then you won’t notice the additional impact it might be having. It’s just too small of a difference. 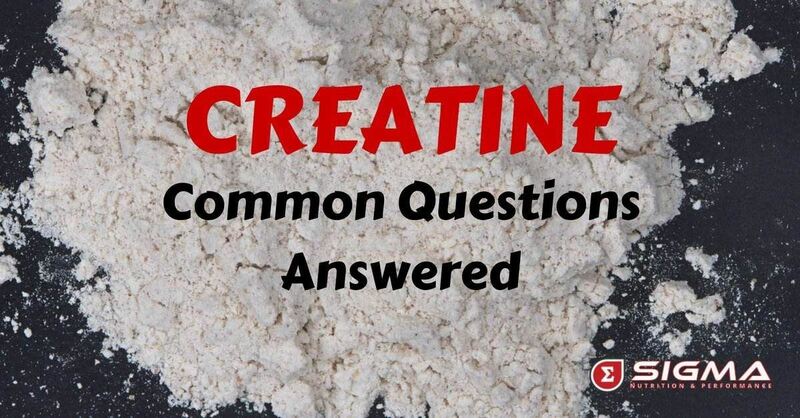 Remember, creatine supplementation serves to increase total muscle creatine content. This in turn provides more phosphocreatine to be used to rapidly resynthesize ATP. But you won’t feel any “buzz” from it. As mentioned earlier, creatine does not act like a stimulant such as caffeine. So the impact is not acute. Creatine will impart a benefit when muscle creatine stores become saturated. Hence why you’ll need to take it continuously over a number of weeks to gain any real benefit. Conversely, we have other people going to the other extreme as saying “I started taking creatine yesterday. I can feel it working already!” This is extremely unlikely. First, as we’ve discussed, it takes some time for creatine to impart a benefit. You’ll likely not make massive improvements based on taking it once. Secondly, particularly when it comes to increasing muscle mass, this process is both painfully slow as well as being only reliant on supplementation to the tiniest degree imaginable, that it’s impossible to tell if the creatine you’re taking is giving you “more gainz” than if you weren’t taking it. That said, following high-dose supplementation (the traditional loading phase) it is possible to substantially raise intramuscular creatine content, which in turn could potentially provide an ergogenic effect (Harris et al., 1992). 9. Why Does Creatine Have Such a Bad Reputation Then? Even though the inaccuracies and false statements relating to creatine have been refuted on numerous occasions by the scientific evidence base, the general public will still get most of their information from the mainstream media, who often are neither capable of, or care about, putting out scientifically accurate information. In addition, sometimes no matter how much scientific evidence you present someone with, they still continue to hold onto their preconceived beliefs and biases. Unfortunately this is the case with creatine and will probably continue for quite some time to come. As long as people like Neil Francis are allowed to have a voice and (more importantly) people listen to what they say without asking for proof, the misconceptions surrounding creatine supplementation will persist. Be critical in your thinking. Ask for evidence. And be wary of sensationalist or emotive headlines. I hope you found this piece useful. Perhaps as someone who had one of these questions or perhaps you are a coach who often hears these questions. Now you have a resource to point people towards if they ask you about this stuff in the future!